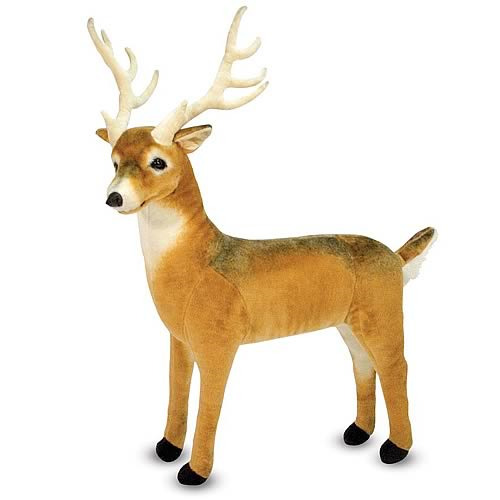 Doe, a deer…Bring a bit of wildlife into your child's room with this beloved forest friend. Excellent quality construction and attention to detail, from the top of its antlers to the tip of its white tail, make this gentle deer a wonderful new companion or decorative accent. The deer measures approximately 33-inches long x 29-inches tall. Ages 3 and up.